Apparently Brother Cadfael feels we need a nifty dovetail saw for our virtual dovetail toolkit too. 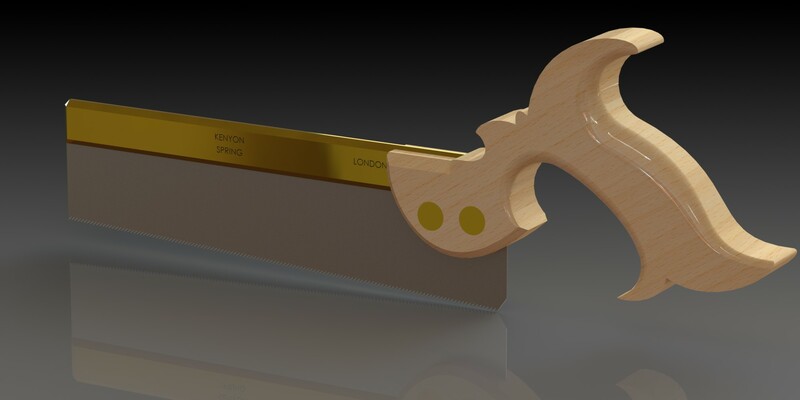 This is modeled on the Kenyon dovetail saw from the Seaton tool chest. The front of the handle is different on the Seaton saw than on most of the “reproduction” Kenyon-patterned dovetail saws I’ve seen. There are a few details I want to nudge, then I’ll make some patterns. Just for fun, mind.